The Church, a beautiful example in miniature of the Norman style of the eleventh and twelfth centuries, was built by Thomas Henry Duthie, owner of Belvidere Estate from 1833 to 1857. Bought from his father-in-law, George Rex of Knysna, the estate provided an excellent site for a church. Planned on the English pattern as a place of worship for his family, friends and their servants, the building, now a National Monument has retained much of the character of that period. 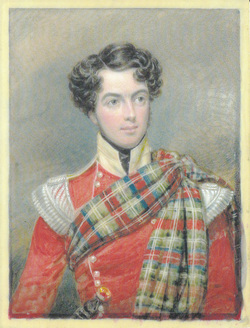 Thomas Henry Duthie, born in Stirling in Scotland in 1805, was a captain in the 72nd Highland regiment. He joined the regiment at the cape in 1828, and came to Knysna on a hunting trip in 1830. Three years later he married Caroline, daughter of George Rex, and after a year in England returned to Belvidere to build his home, and later this little church. Sophia Gray, wife of the then Bishop of Cape Town, became intensely interested in the project, obtaining the architectural plans from England. The Hon Henry Barrington of Portland provided much of the local stinkwood and yellowwood for the timber work and considerable funds were collected in Britain by Revd. A. H. Duthie, Captain Duthie's brother. Fortunately a small deposit of suitable sandstone - in a district notable devoid of building stone - was found on the estate, about two miles away. It was quarried and shaped by three Scottish masons engaged from an immigrant ship, and brought to the site by ox-drawn sledges. The masons were Alexander Bern, Alexander Lawrence and Colin Lawrence, surnames still known in the district. The entire pulpit, except for the parapet, was carved out a single block, known as the "Monster Stone". The labour of hauling this from the quarry to the church must have been tremendous, but was only a small part of the many difficulties that had to be overcome before the church was completed. The bell, a gift from Francis Newdigate Esq., which hangs in its niche above the main door was cast in England. Before reaching Belvidere it was dropped overboard and lay underwater several months before being retrieved and hung in place. Belvidere at that time provided anchorage for coastal trading vessels and it is recorded that in July 1849, the Apame, a brig of 170 tons arrived from England, moored at Belvidere and discharged 3,000 slates for the roofing of the church. Holy Trinity Church, Belvidere was finally consecrated by Bishop Gray of Cape Town on October 5th, 1855. Since then the church has continued in the family tradition as a "Duthie" church. The last direct descendant to hold the Duthie estate in the Duthie name was Miss A. V. Duthie, M.A. sD.Sc., a noted botanist who died in 1963. She is commemorated by the stained glass window in the north wall of the name, and her grave lies under the oaks of the quiet churchyard, along with many other members of the family, and friends of their generations.